Hard Drive WD SATA 3 Tera Byte for Audio Video ~ " World Information "
JAKARTA - Western Digital presents version 3 TB hard drives into the family of WD AV-GP SATA, to serve the market of audio-video (AV). Hard drive WD AV-GP 3.5-inch capacity of 3 TB will be shipped immediately offers reliability to work non-stop 24 hours a day, 7 days a week, low energy consumption and unmatched storage capacity for applications that require AV very large storage capacity such as digital video recorders, video surveillance, media servers, single-drive external storage and multimedia. "WD AV-GP store more audio and video files hi-def version 3 TB than ever before with our new version 3 TB," said Jim Welsh, executive vice president and general manager, WD branded CE products and business units, as reported by official statement on Wednesday (25/05/2011). "Combine unparalleled capacity, the WD GreenPower technology are energy efficient, and performance capability to record up to 12 HD video streams at once with SilkStream technology and drive the more obvious choice in optimizing AV applications such as PVR / DVR, IPTV and video surveillance," he added . Hard drive WD AV-GP 3 TB WD AV-GP (WD30EURS model number) are now available on WD's resellers and distributors in Indonesia. Suggested Price (MSRP) for the hard drive WD AV-GP 3 TB is USD199. 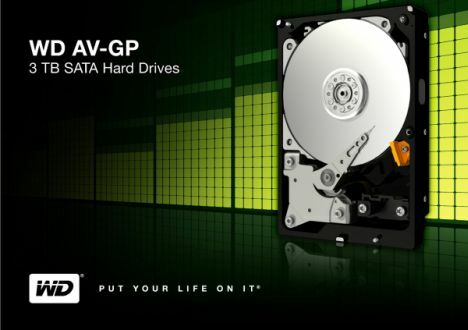 Hard drive WD AV-GP is protected by a limited warranty for three years. More information about hard drives WD AV-GP 3 TB.